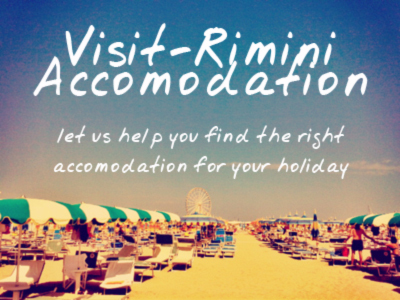 To fully explore all that Rimini and its surrounding province can offer, with full independence, you’ll probably want to either bring your own car, or hire one there. That may sound daunting, but we’ve gathered together some of the info you’ll need to make the most of the motoring experience. As part of the Comune’s increasing efforts to improve air quality, as is the case in many of Italy’s cities, new traffic restrictions are in place in Rimini’s town centre. In the city centre there is a traffic restricted zone which it’s important that you know about. Video-cameras are in operation, and non-authorized vehicles are subject to fines. Rimini is directly connected to the Auto-Strade (motorway/highway) network. The famous A14, which runs from Bologna to the Adriatic coast, and all the way down to Taranto in Puglia, covering a distance of 743,4km, has two exits to Rimini – Rimini Nord & Sud. The autostrade operate on a toll basis. You take a ticket when entering the system, and pay upon exit. For guidance, here are some price guidelines for both cars and motorbikes. Bologna (Fiera) → Rimini (Nord)Distance 101.8km, Toll €5.30. Average travel time – 1 hour 7 minutes. Bologna (Fiera) → Rimini (Sud)Distance 105.2km, Toll €5.30. Average travel time – 1 hour 10 minutes. Prices are intended as a guide only. Check with www.autostrade.it for up to date prices. Try to plan your trip outside of predictably heavy traffic times. For example, during the summer months you can virtually guarantee heavy-traffic flows on Friday afternoon/evening in the direction Bologna-Rimini, as people rush to the seaside for the weekend, and the opposite on Sunday afternoon-evening when they return. You can check the real time traffic conditions on the Autostrade Italia site, by clickin here. A penalty points and fines system is in operation in Italy, and that includes on the Autostrade. Contrary to what you may have heard, there is a speed limit of 130km on the Autostrade, which may be lowered depending upon road conditions (weather and road works). Pay attention to signs, and ignore the poor example that may be set by drivers around you. There are a number of options for paying your toll on the autostrada. Pre-Paid Viacard You can buy pre-paid passes called viacard, for 25, 50, or 75. These are available at service stations, autogrill, and in many tabaccherie throughout Italy. They are ideal for someone who is going to use the network a reasonable amount, and doesn’t wish to use credit card or loose change at the toll-booth. It allows you to pass through the blue channel, which often has less of a queue for exiting. Credit CardVisa, Mastercard, Diners, and American Express credit cards are accepted methods of payment, without any additional toll processing costs. CashCash is obviously an accepted method of payment. There are cashier manned toll-booths, which will give change, at each exit, although at peak times the queues for these may be lengthy. Make sure you take a ticket entering the network – avoiding the telepass entrance. This is reserved for autostrade users who have signed up for a telepass, which involves fitting a signaller to the registered car. When exiting, choose the channel appropriate to payment. Blue → self-service for credit card or viacard White with cash symbol → Exact cash, no change given White with hand & cash symbol → cashier – change given Do not use the Telepass channel. Driving through this, without the telepass signaller, will make you liable to a hefty fee. Mi può controllare l’olio / l’acqua? → Can you check the oil/water for me? Mi può controllare la pressione delle gomme? → Can you check the tyre pressure for me?